Spend three-hour on a guided, walking tour filled with culinary delights. You and a small-group (up to 12 people) will taste the freshest seafood food and some of the best Italian food in the country in a North End neighborhood of Boston. As you explore the colorful food scene, your guide will share the history of the area. Your tour starts in the historical North End area of the city, also known as Little Italy, where you'll sample a number of Boston's favorite dishes as well as some of the best Italian flavors. 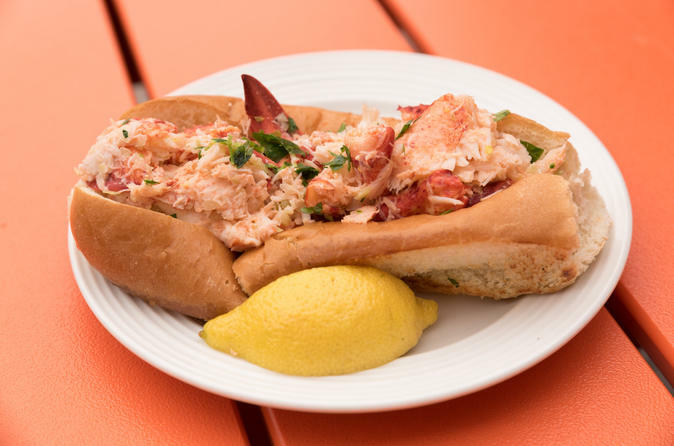 Begin with a Boston classic, the lobster roll. You may learn some fascinating facts concerning this crustacean. From there, snack on some roasted nuts at a tiny traditional shop before savoring an original sandwich with a recipe created by the shop's founder in America's oldest public square. Visit a pizzeria that's hidden in plain sight, and eat a slice while enjoying the view of the church that was used to warn colonists of the British arrival by sea for the Battle of Lexington. Then pop into a neighborhood public market to taste sausages and a local craft beer that's still a hidden gem even to most Bostonians.